As you’ll come to realize while reading this blog, I like to create color palettes based on ideas. Sometimes it’s a literal interpretation, sometimes it’s downright nonsensical. Likewise, they can be hit and miss in looks as well. But a project can turn a jumble of color and components into something more fully realized. So how effective is a color palette in the designing of a piece? 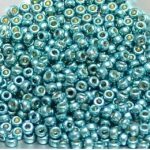 Let’s say you have a bright blue focal bead you picked up on a whim. You know what they say: get it while you can, because you never know when you’ll see it again. You either prescribe to this or you’ve suffered some bead-related mourning. 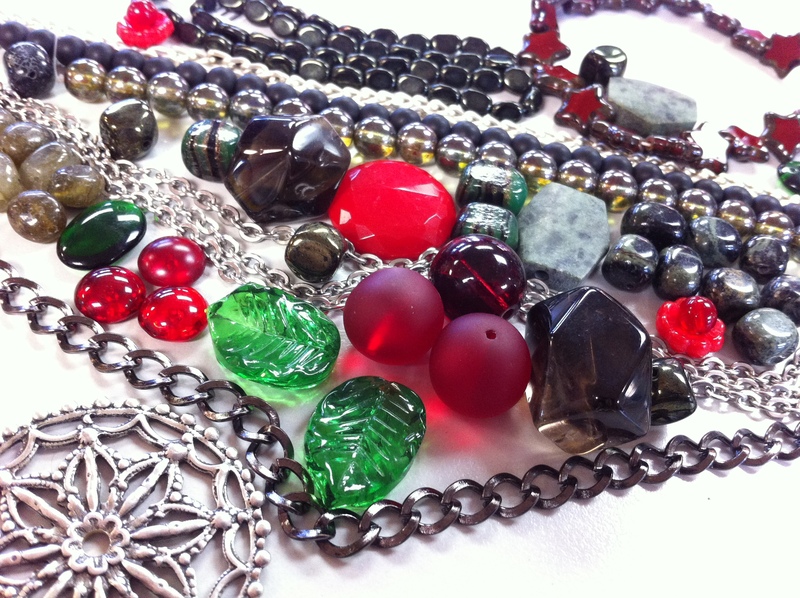 You can design around the bead itself or you can design around the color of it. One isn’t necessarily better than the other, but they’re different experiences, different processes. You’ll be asking yourself different questions. If you decide to focus on color, you may ask whether or not to downplay the blue, leaving it as a spark of color. If you focus on the piece, you might look at the shape of the bead and decide that, being a teardrop, you should dangle it at a dramatic length. As I said, no one technique is better than the other, but if you find yourself doing one design approach more than the other, try switching it up. You might be surprised at the results. And now, as promised: how to make children behave… with a Christmas Tradition from across the world. In the United States, Santa Claus has a horde of elves who help him complete his annual rounds. Gifts for the good children, coal for the bad ones. But of course this is not a global tradition. In Alpine countries, for example, Saint Nicholas is accompanied by Krampus. Called Klaubauf in Austria, Krampus appears on the streets on December fifth, Krampusnacht, the evening before the Feast of St. Nicholas. And where St. Nicholas rewards the good girls and boys, Krampus is given the responsibility of punishing the bad ones. Christmas is a combination of pre-Christian and Christian traditions, and modern Christmas traditions take largely from Germanic regions thanks to Queen Victoria’s marriage to Prince Albert. That Americans don’t have annual Krampusnacht parades is more chance than design. So this year, why not think about replacing the elf on the shelf with a visit from Krampus? Guaranteed your kids will be good!